Good foods help to fight disease, they are nature’s way of restoring, repairing and rejuvenating, of keeping you alive, and they heal without dangerous side effects. But we have denatured so many of our natural, healthy foods that they are no longer giving us the nutrients that are so important to us. Today food is the cause of the vast majority of our health problems. Our bodies are deteriorating with the help of processed foods, sugar and chemicals, and we do not have the nutrients required to fight disease, and keep ourselves at optimum health. However food is also the solution! In some countries there are some diseases that simply do not exist, for instance East Indians rarely get Alzheimer’s and the Japanese have lower rates of heart disease. So what makes the difference? Well, one reason is their diet! Heart disease, cancer, Alzheimer’s, diabetes, asthma, arthritis and allergies are all linked to our diets, and could be prevented by eating the right foods. Dr Victor Marchione, MD, The Food Doctor, is using ‘fighting foods’ or ‘functional foods’ to help heal certain health problems. They help to relieve pain, reduce blood pressure and lower cholesterol, and they can also help in making you feel happier, relaxed and energised. Medical researchers have found literally thousands of healing nutrients in foods, and clinical research studies at leading universities have documented the healing results. Case histories have shown that foods can heal the body and perform specific medicinal effects. Dr Marchione, MD believes that the root cause of many chronic diseases may actually be deficiencies of nutrients, and especially phytonutrients, the miracle healers found in plants. Foods have different reactions in the body, so just isolating and extracting the nutrients in the food doesn’t always work. Many of our drugs come from plants, but using food as a healer is better than a drug, because a drug may only contain the active ingredient, and may not fully work or will cause side effects, without the other components in the whole food. 1. A phytonutrient that lowers cholesterol, prevents enlarged prostate and balances blood sugar as well as many other benefits. Pistachio nuts and sunflower seeds contain phytosterols that can block cholesterol from being absorbed into your blood stream. These phytosterols can also help prevent cancer by deactivating free radicals that damage cells. 2. A phytonutrient that switches on genes that fight cancer. Flavenoids are natural compounds that have a range of healing effects on your body. They have shown to have 5 times the antioxidant power of vitamin C, and they hunt down and absorb free radicals before they can cause aging and disease. Scientists have found more than 4,000 different flavenoids and these flavenoids can actually change the way genes are expressed in the body. They cause the body to ‘switch on’ in ways that can fight or prevent cancer. They force the body into making enzymes that destroy the substances that cause mutations and tumours. The best source of flavenoids are fruit and vegetables, and in general, the stronger the colour of the plant the more flavenoids it produces. 3. A phytonutrient that fights Alzheimer’s disease. Studies show that memory starts to wane as early as 25, so it is important to keep your brain and nervous system healthy. Researchers recently have discovered that boysenberries contain natural ingredients that are believed to provide protection against Alzheimer’s disease. These phytonutrients include a powerful memory preserving flavenoid known as anthocyanins. Boysenberries protect brain cells against a type of stress known to cause Alzheimer’s and so researchers believe that they may prevent or significantly delay the onset. Anthocyanins, also found in other red and purple fruits, preserve neurone function, and they may help brain cells communicate with one another, so preserving your ability to learn and remember. 4. A phytonutrient that aggressively halts cancer. A type of powerful nutrient found in vegetables can reduce cancer by 44%, a study at Harvard University found. These nutrients are called glucosinolates and it appears that the real cancer-fighting agent is created when the vegetables are chewed and digested. Glucosinolates are then turned into a far more potent phytonutrient called isothiocyanate which in a study, stopped even the most aggressive form of bladder cancer. 5. A phytonutrient that kills cancer cells. 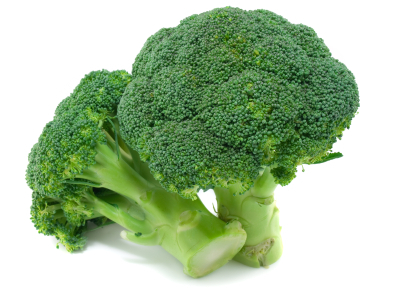 This is an amazing phytonutrient called sulforaphane, and is one of the main phytonutrients in broccoli and other cruciferous vegetables. 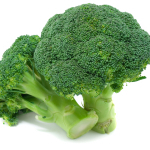 A new research study has shown how sulforaphane can selectively target and kill cancer cells, but at the same time it leaves healthy cells alone. So, as I have always advocated, vegetables and fruit are essential for good health. Not only do they contain phytonutrients that will fight cancer, lower cholesterol and prevent Alzheimer’s , but they keep your body alkaline which stops bacteria, viruses and fungi from taking a hold in your body. Of-course if they are organic as well, it is an added bonus because your body won’t have to fight the chemicals.